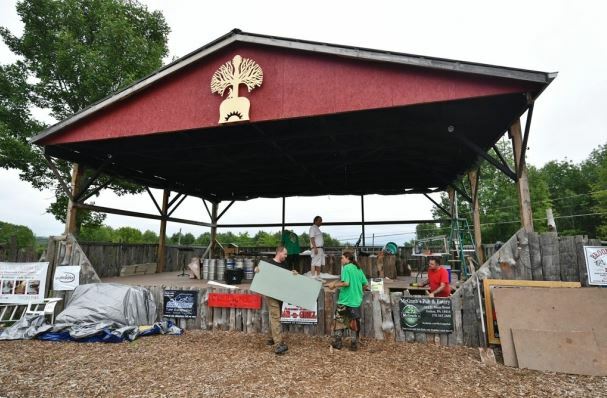 SCOTT TOWNSHIP, Pa. — A first-of-its-kind music festival kicked off in Lackawanna County on Saturday. The Inclusion Festival is taking place this weekend at Mountain Sky Festival grounds near Jermyn. Organizers say the festival is “sensory friendly” meaning the music is played at a lower volume, and the layout prevents crowding. There are also educational workshops at the festival designed to help families of children with autism. “We just wanted to see what was available today. He had his birthday two days ago. He just turned 12 and so we’ve just come to have fun with him,” said Paul Johnson of New Jersey. The Inclusion Festival continues Sunday.